QUESTION ONE: Have disability issues affected you and your family or friends? QUESTION TWO: How do you define inclusion? QUESTION THREE: What do you see as being the greatest accessibility challenges within your constituency and what will you do to address the challenge? Thank you to all of the candidates for making us feel welcome and good luck on Tuesday, July 17th! If you live in St. Boniface, please vote. You are legally entitled to take time away from work to vote. ANSWER: When I first arrived in Canada, I worked in the disability sector for nine years. I value and understand the incredible qualities that often get over-looked when it comes to persons with disabilities. This is very personal for me. Yes, very personal, because the residents of the Group Home where I worked, became my friends, and my family. ANSWER: I define inclusion as a world free of obstacles for persons with disabilities. This includes physical and social barriers that prevent persons from achieving their potential. ANSWER: As a society and a constituency, there is still significant work ahead of us in terms of ensuring that everyone has access to services. This includes lack of wheelchair access, employment discrimination, and access to public services. I will be a champion for persons with disabilities if given the honour of representing St. Boniface. ANSWER: Disability issues affect everyone, and I am no different. That's why our inclusion work starts from the ground up in our campaign office so that persons with disabilities are able to participate fully in the political process. 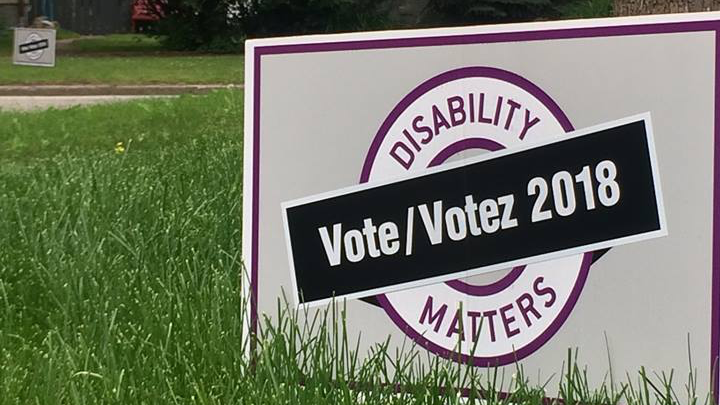 Our campaign office is accessible, with accommodations for tty, visual impairments, and wheelchairs so that all residents of St. Boniface can really engage in the political process on their own terms. ANSWER: All Manitobans should have an equal opportunity to participate fully in their community. Inclusion is making this goal a reality. This includes supporting those individuals who require additional assistance due to a special need or accommodation. Inclusion starts early in life, from birth to early learning and child care, and extends into adulthood with supports for job placement and training and into old age, with proper supports for our seniors. The goal of inclusion is to enhance the abilities of all Manitobans, to foster understanding and compassion and to make sure every Manitoban can participate fully in our community. ANSWER: The greatest challenge for accessibility is to make the Accessibility for Manitobans Act (AMA) a reality. The Pallister Government has missed multiple deadlines to implement the AMA, breaking their promise to Manitobans with disabilities. I will advocate for the implementation of the Act and will hold the Pallister Government to account to make sure no more deadlines are missed. I will also advocate for the protection of the inclusion support program - this program helps children with challenges participate fully in early learning and child care. After the Pallister Government tried to cut the program last year, we need to stand up for children who need additional support. I will advocate for this program and to make sure there are no more cuts to our child care centres by the Pallister Government. ONE: Have disability issues affected you and your family or friends? ANSWER: Yes. I have a family member on the autism spectrum and have friends and family who have physical and intellectual disabilities. ANSWER: Equal access to education, work, housing, health, transportation and information - having a barrier-free life. We have three strategies to address these challenges. First, we have to recognize that some institutions and businesses will require financial assistance in achieving greater accessibility. We need to have financial “carrots” as well as the “sticks” of regulatory enforcement in order to improve accessibility. We are proposing a “new new deal” on infrastructure that would invest in upgrading and building new infrastructure, across a wide range of strategic priorites: strategically important infrastructure for economic growth; social infrastructure including housing, infrastructure to improve environmental efficiency, including transportation. These would be designed to be accessible. The other proposal relates to private sector job creation: we will create a Manitoba Business Development Bank to help Manitoba businesses grow and create jobs. One of the largest challenges facing all Manitobans is that growth in take-home pay has stalled. A recent study showed that since 1976, 1 in 5 Manitobans have not seen an increase in their take home pay, and 70% have lost income share. This means that the majority of Manitobans are less well off than they were a generation ago - and people with disabilities and who are vulnerable or marginalized, are even harder hit. We want to take a fundamentally different approach to government, especially as regards the economy: which is that we want to have a government and economy that works for everyone, not just a few. We call it Our New Way. We hope you will be a part of it. ANSWER: Yes. I have cousins with learning disabilities. Navigating the school system was a challenge for them. One of my cousins is on the Autism spectrum. There are diagnosed and undiagnosed mental health issues in my family, like in most families. Navigating health services and the pressures of life are challenges on that front. Two members of my family have limited mobility issues, one due to Multiple Sclerosis. Many of my friends have worked or are working at St. Amant Centre and ActionMarguerite (Centre Taché). As a child, my next door neighbour was quadriplegic. As a teenager, another neighbour was also quadriplegic. Disabilities are part of life, and disability issues affect us all. Thankfully, I had good examples around me growing up: my grandmother’s always supported Tova’s Restaurant and we go there for brunch; my grandfather’s been involved in Sara Riel, charitable organization offering a variety of mental health services to adults; my uncle runs Centre Flavie-Laurent, an organisation who brings assistance and comfort to the impoverished and the vulnerable by distributing at no cost clothing, furniture and household items. ANSWER: Great question. Inclusion, for me, is a deliberate action of bringing people into the fold. It’s taking down barriers where there shouldn’t be. It’s treating people with dignity and respect by allowing them to carve their own place in this world. For me, inclusion and equity go hand in hand. We all face different issues, and we all need different support. St. Boniface has a number of accessibility challenges, and so it is impossible to just comment on one challenge. We have a high concentration of seniors’ homes, where most people have reduced or reducing mobility. We need to plan for our aging population to be in good hands, and free of poverty. We have old infrastructure in our schools with narrow doors and a lack of elevators. We have bumpy roads, incomplete sidewalks, potholes galore, and a surprisingly low number of safe crosswalks across traffic, not to mention an unreliable transit system with increasing fares every year. The Green Party of Manitoba would work to make public transit fare-free, and continue working with the city to address our infrastructure issues. For years, communities have rallied around making Manitoba more accessible. This culminated with the passage of the landmark Accessibility for Manitobans Act (AMA). This law is supported by all parties, but are we doing enough to implement the law within the timeframes outlined in the AMA? Disability workers are still the most underpaid, and staff turnovers are still high, and with all the cuts in healthcare and education, we’re left wondering if we’ll ever see any positive changes in the near future. More healthcare cuts are coming too. Even if we spend the next 10 years trying to gain back what we’ve lost, do we consider that moving forward? I don’t. Unfortunately, many people disabilities also find it difficult to earn a dignified income, and they are forced to rely on social assistance that is inadequate to meet basic needs. The Green Party of Manitoba is proposing to implement a guaranteed annual income (GAI) for all Manitobans. Our proposal would nearly cut poverty rates in half, increase the disposable incomes of poor families by 22%, and for those on Employment and Income Assistance (EIA) it would result in a roughly 25% increase in income. On a longer term basis, the green party of Manitoba would the Greens would create a community led anti-poverty task force comprised of representatives from both the community and government that will prepare an anti-poverty plan that will identify key gaps in existing programs and identify the measures needed to fill them, and propose methods for evaluating the effectiveness of existing of existing and new programs. The document will then be shared with the public for further feedback. Part of the focus of the anti-poverty task force will be reviewing EIA programs, so that programs are more streamlined, less bureaucratic, and more targeted at particular needs, such as the specific needs of the disability community. It should also be noted our GAI proposal therefore would have positive impacts for both people living with a disability and in many cases for people caring for people with a disability. The fact that many disability support workers would benefit from our GAI is however simply a reflection of the fact that disability support workers are among the lowest paid human service staff in Manitoba. This is shameful. This results in disabled people very often not having the benefit of the care of consistent staff over their lifetime due to high turnover rate of disability support staff. This is costly because by having more consistent disability staff we can help to improve outcomes, including capturing the human capital potential of disabled people through paid employment and volunteer work, and this will save money and increase tax revenues long-term. The Green Party of Manitoba would review the funding grants and other support given to the non-profit agencies responsible for hiring disability support staff in comparison to other caring professions, with the objective of eliminating the current wage disparities currently in place for disability support workers, as well as looking at implementing other strategies that would increase disability support staff retention rates. All of that being said, the greatest accessibility challenge I see in our constituency is our broken electoral system. What we need is government who is a better reflection of the people it represents. People in St.Boniface care about their neighbours, about their friends, about their communities and the diversity of people who live here. With proportional representation, we can transform not only how we elect people, but who we elect. It’s a proven way to open the door for more diversity to be included within our Legislative Assembly. When we change how we elect people, we change who we elect. We’d elect less career politicians, and more compassionate politicians. We’d elect people who empathise with real people and understand the value of every member of society. Things would move a lot quicker too, because people who care invest better in their communities.